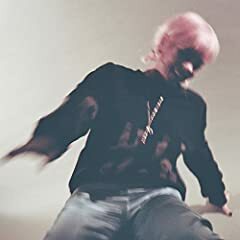 Lily Allen is an English singer and songwriter. In 2005 she began streaming music on Myspace, which led to coverage on BBC Radio 1 and a signing with Regal Recordings. Her debut album Alright, Still (2006) sold more than 2.6 million units globally and the lead single Smile hit the top spot on the UK Singles Chart. The album featured a pop sound that incorporated reggae and ska elements. She later moved into electropop and pop territory. She has obviously had a bad run with relationships thus far and is relieved to have found someone different than the rest of the crowd. One of the most cheerful songs of the last years, despite the content. This moment that after breaking up, the guy is calling you to meet, apparently to fill his schedule and enjoy himself, you let him down, it's makes you SMILE indeed!